We encourage our clients in Thornhill to trust our garage door maintenance service annually. By checking thoroughly the whole system, our technicians can make good evaluations of the overall condition of your garage door and the most important thing is that they can fix garage door problems. 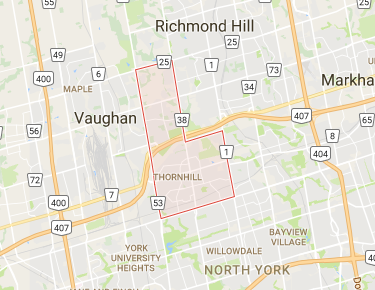 This is the meaning of routine services and can assure you that Garage Door Repair Thornhill offers the best in Ontario. We understand the great significance of maintenance and that’s why we are particularly thorough when we check the mechanism. We follow the right steps, techniques and methods in order to tune up the system and allow it to work properly. All customers can trust our team for its effectiveness and also dedication. Have you ever considered the great benefits of routine services? We offer Garage Door Maintenance in Thornhill for years and apart from knowing the positive effects of our work, we can also see it at our clients’ properties. Thanks to our meticulous garage door inspection and careful cleaning and lubrication of all parts, the system works properly. When we inspect the mechanism, we try to see if anything seems odd or out of the ordinary. Our technicians are equipped and so possible problems are fixed at once. Apart from repairing components, we also make sure they are well tightened and adjusted. 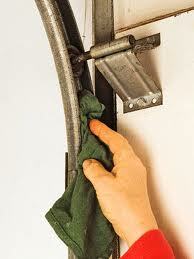 We offer garage door adjustment and maintain the springs. Our maintenance service includes the full inspection and good treatment of the opener. One of our main goals is to make sure the system is safe. So, we check and maintain the sensors, make sure the release rope is in perfect condition, fix the motor and make necessary adjustments so that the door can open and close at the right speed all the way up and down. We offer thorough garage door troubleshooting if there are some problems reported or found during inspections and the whole service is centered on making the whole system smooth, powerful, noiseless and fully reliable. You can feel safe with us!